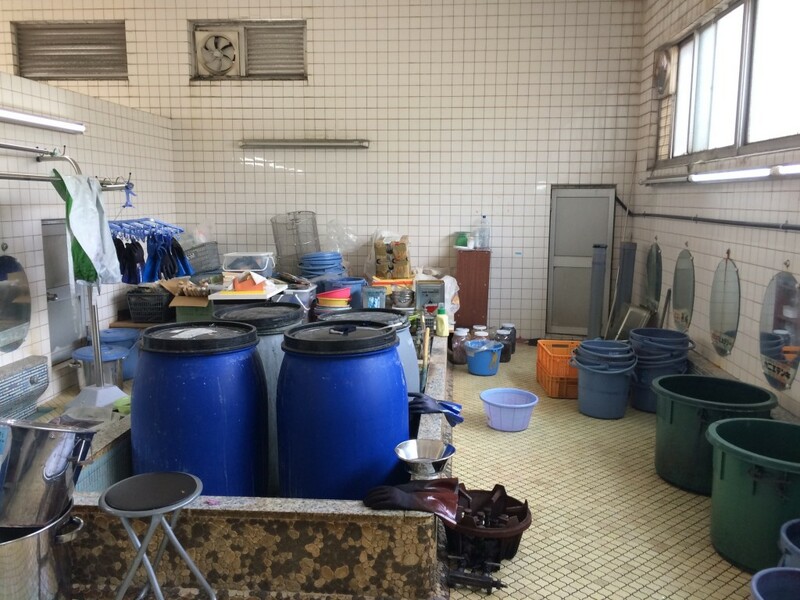 One big mistake I made when I was planning my trip was that I underestimated the traveling and transferring time of using the public transport in Japan. 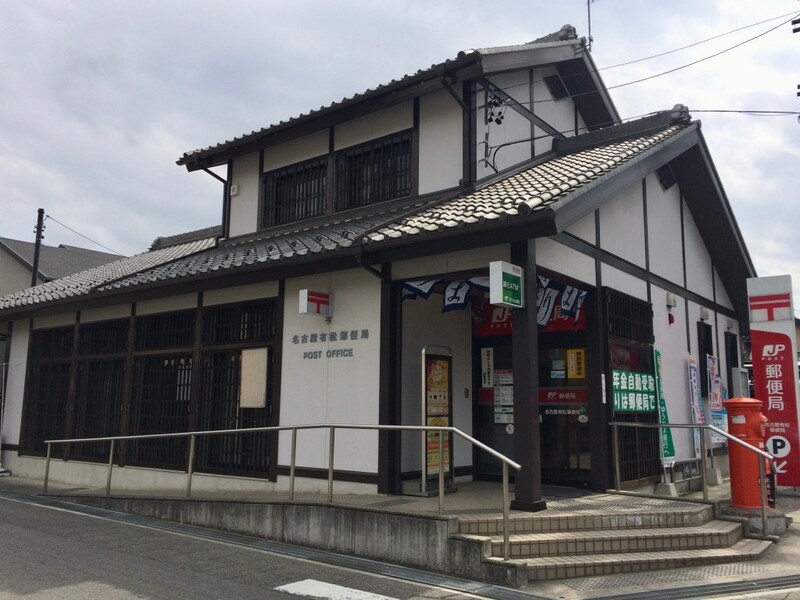 Trains are punctual and frequent if you are traveling to major and more populated cities, but it becomes more complicated if you want to go to smaller towns/ rural villages. I learned that local buses are infrequent, unreliable and time tables would change without prior notice. 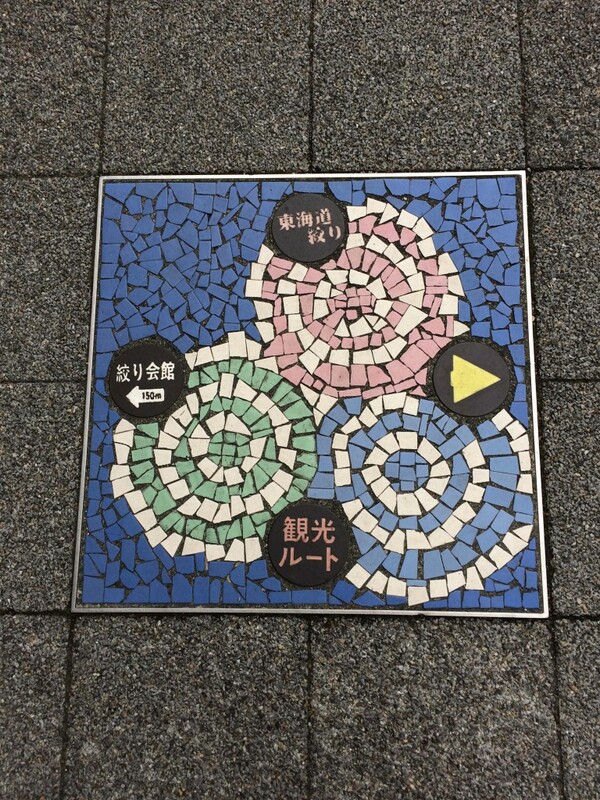 This had caused me many problems throughout my trip in different prefectures. Meanwhile, navigating your way around major train and subway stations can be utterly daunting, stressful and time-consuming. 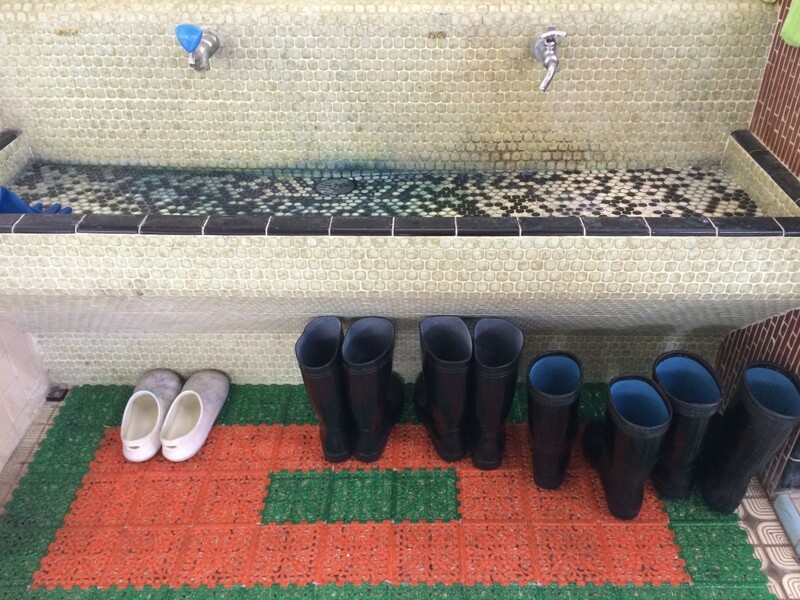 After I left Miyama by bus in the morning, I had to change at Sonobe train station to take a train back to Kyoto (luckily, I had already forwarded my suitcase to Nagoya before I left for Miyama), followed by another train ride to Nagoya. 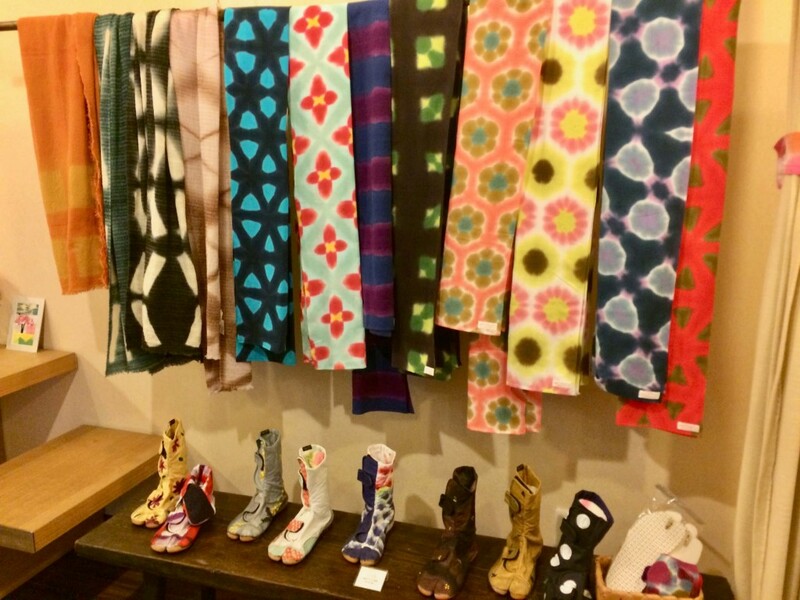 Then from Nagoya, I had to take another 30-min train ride to Arimatsu, a small historic town famous for shibori/tie-dyeing. 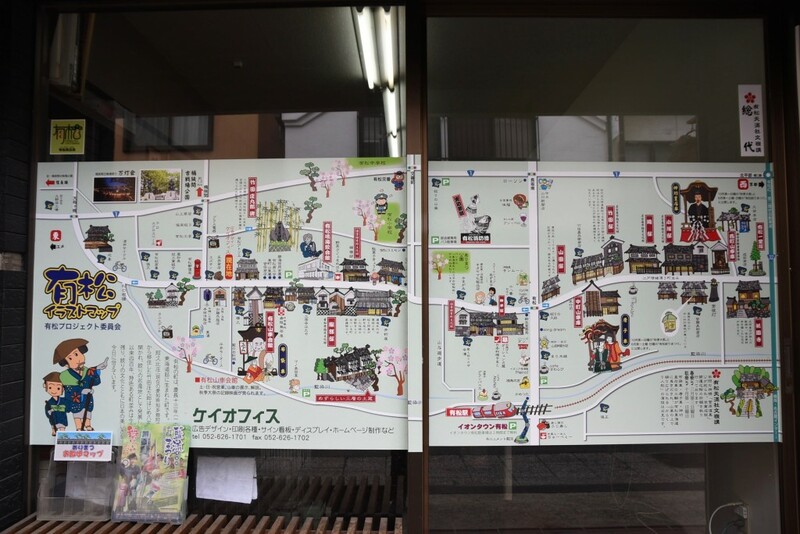 When I was chatting to Mr Shindo about my trip to Arimatsu the day before, he drew me a map of the town and all the places he recommended including his friends' shops/ restaurant. 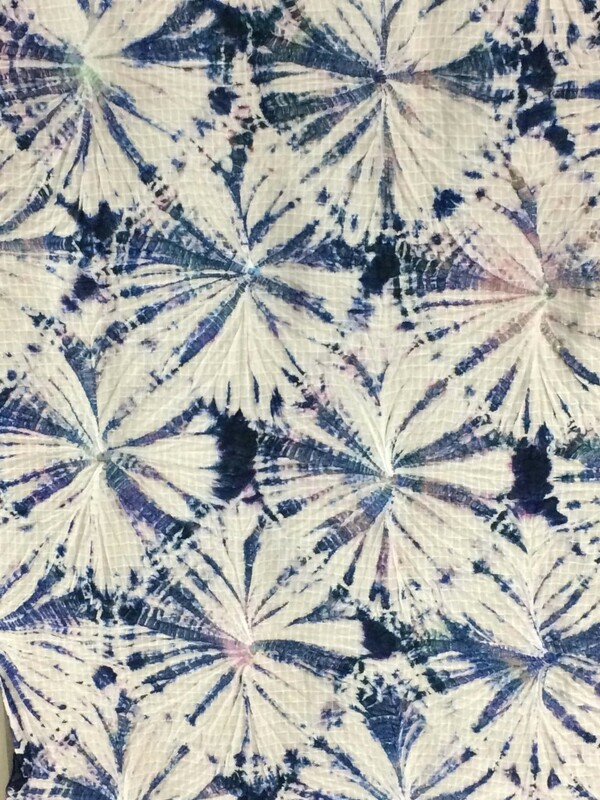 I regarded this as my treasure map of shibori and kept it safe in my bag. 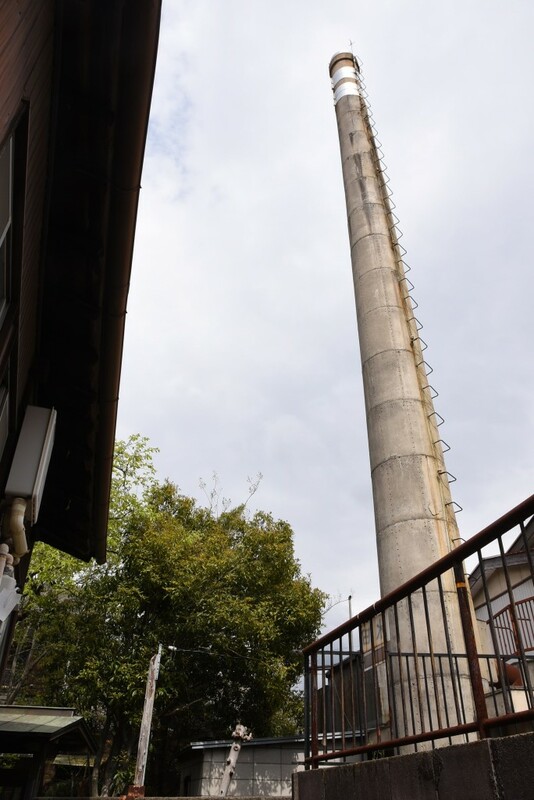 With only 1 day/ night in Nagoya, I decided to skip all the sightseeing in Nagoya and headed straight to Arimatsu. 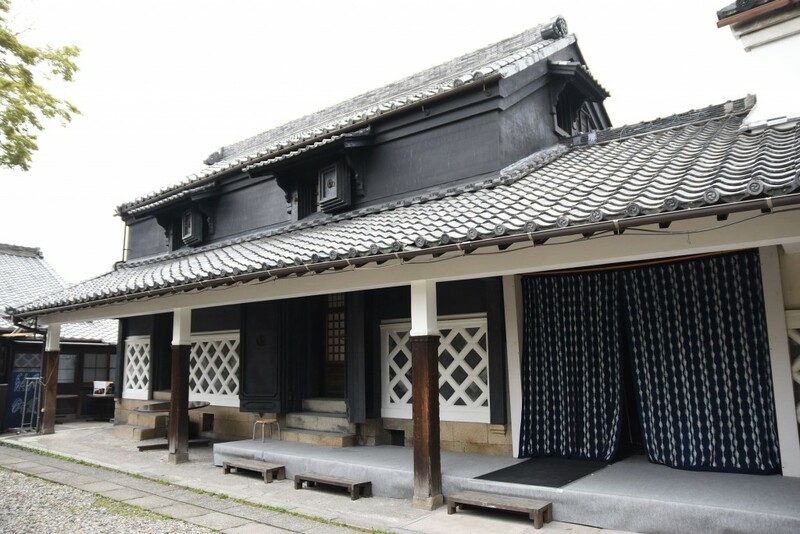 Aside from shibori, Arimatsu was also the site of the Battle of Okehazama in 1560 – one of the most important battles in samurai history. 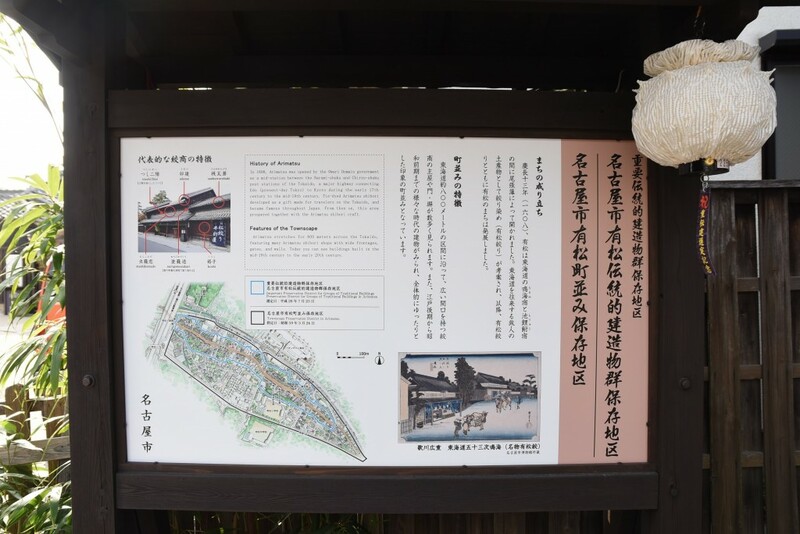 The town survived the battle and was established as a post station between Chiryu-shuku and Narumi-shuku of the Tokaido Road in 1608. 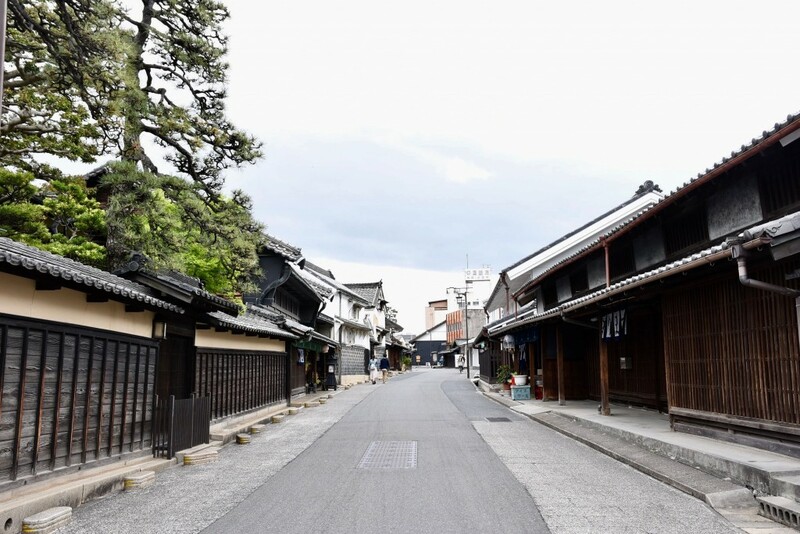 Tokaido Road was an important ancient route that connected Kyoto to Edo (Tokyo), and it included 53 post stations where travelers would rest or spend the night before continuing their journeys. 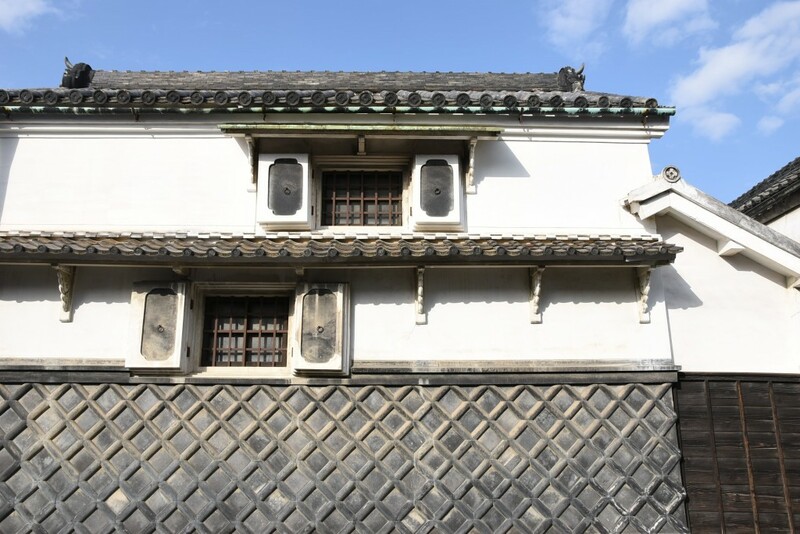 The town flourished during this time; it is said that an immigrant Shokuro Takeda and his peers developed the "Arimatsu-Narumi shibori" fabrics which became very popular with travelers. 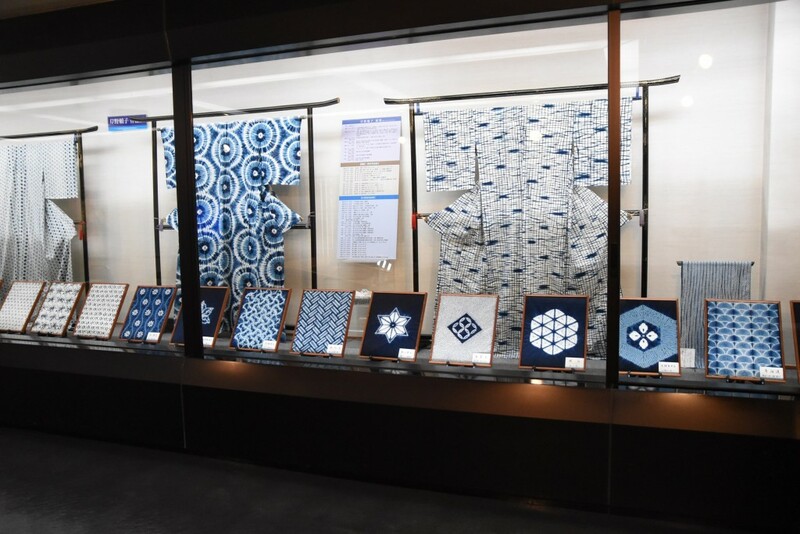 Most tour groups and foreign visitors visiting Nagoya would focus their sightseeing around the city centre, so Arimatsu is off-the-beaten-track unless the visitors are interested in shibori. 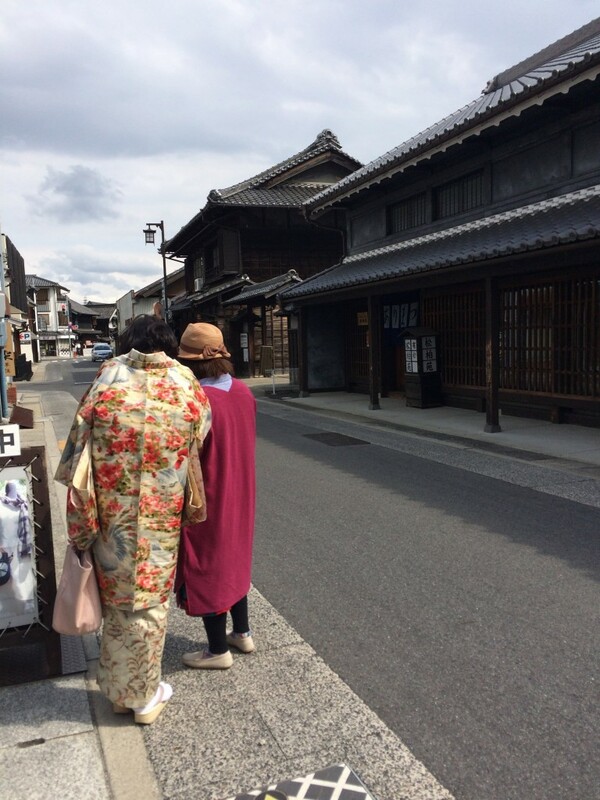 And on the day of my visit, the town was virtually tourist-free, which was a sharp contrast from the touristy Kyoto. 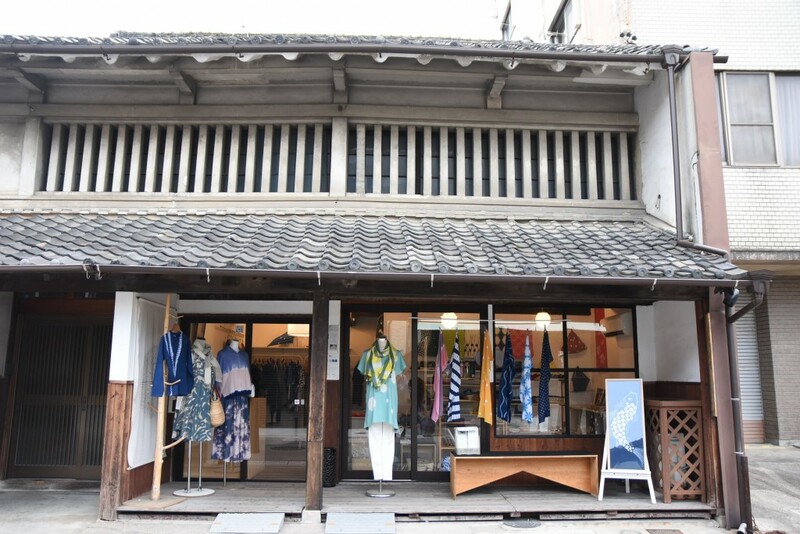 The Arimatsu Townscape and most of the buildings have been preserved as Tangible Cultural Properties, so it is like stepping back in town when you walk along the main avenue. 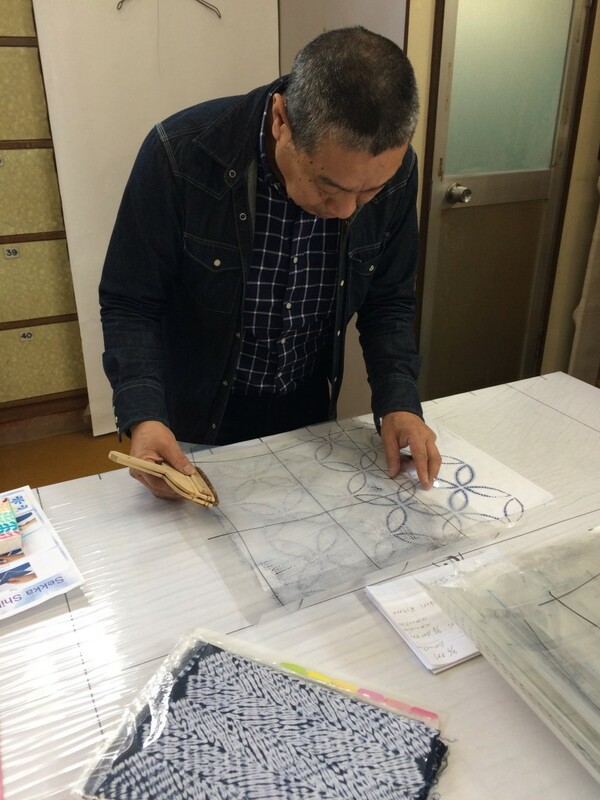 Holding Mr Shindo's handrawn map, I headed towards Suzusan, a shibori and textiles company founded in Arimatsu. 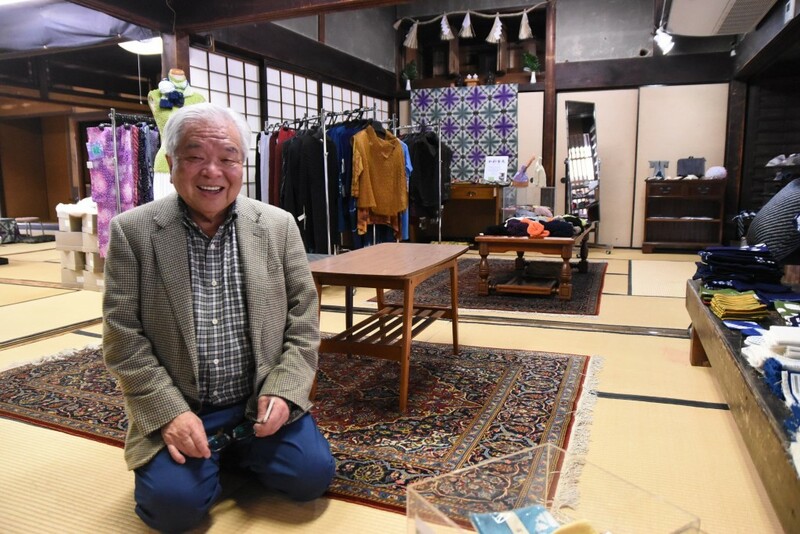 After a quick browse around the shop, I hesitantly walked up to the young guy behind the counter and told him that Mr Shindo had sent me to the shop. 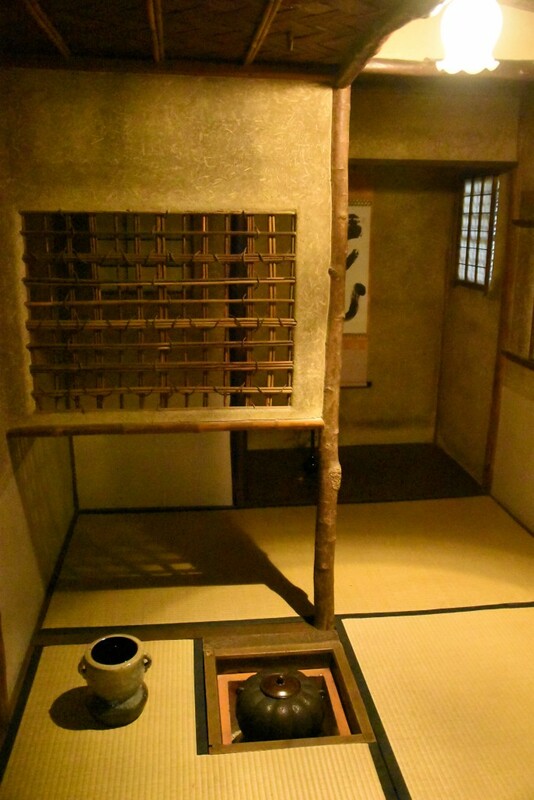 The young guy smiled and said: "Yes, Mr Shindo called about an hour ago to let me know that you were coming, and now I will take you to meet my father." I was rather gobsmacked because I didn't expect this at all. 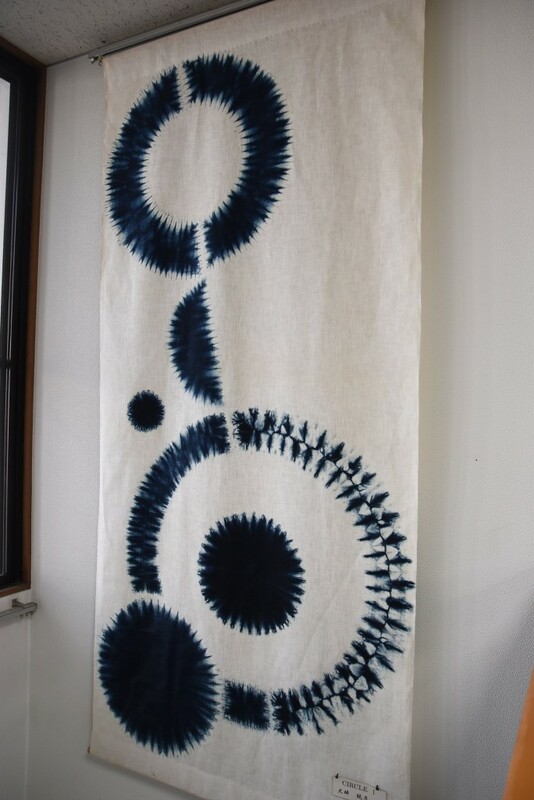 I told him that I knew about the brand from my visit to the Maison et object trade show in Paris last autumn, and I love their shibori products. 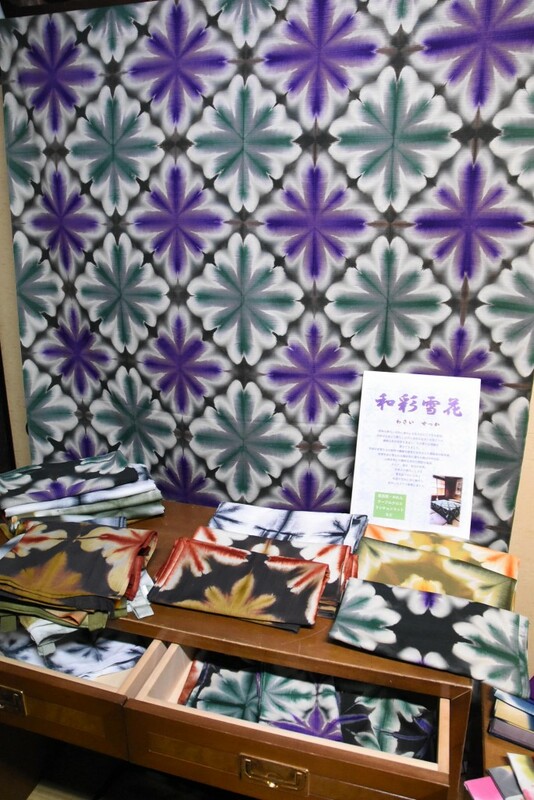 Based in Arimatsu, Murase family has been making stencil-patterned shibori for over 100 years. 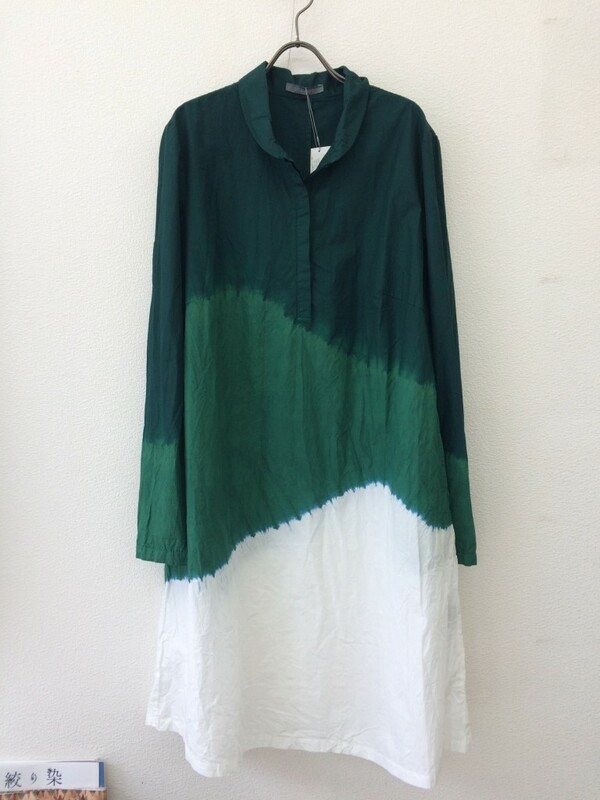 The current creative director is the Dusseldorf-based Hiroyuki Murase (fifth generation) and the eldest son of Hiroshi Murase (4th generation), who is a shibori master, chairman of the company and a good friend of Mr Shindo. 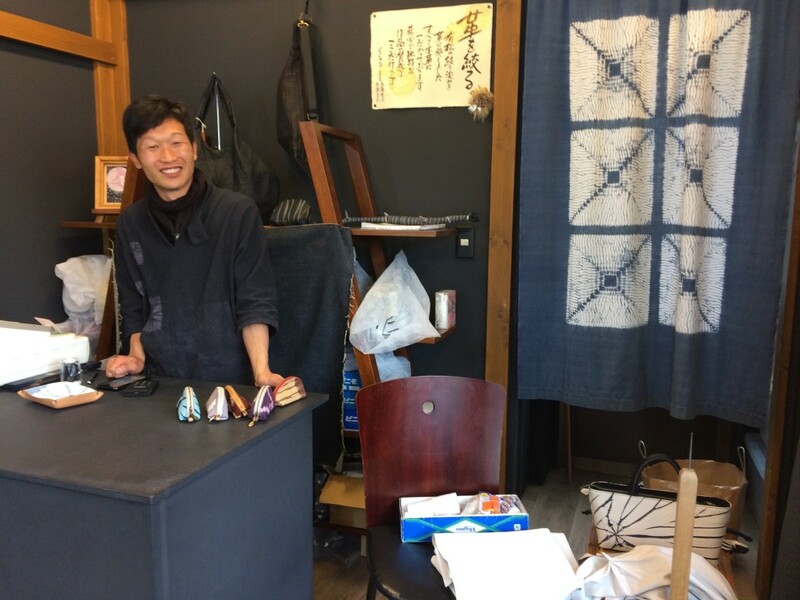 The young guy in the shop is actually the brother of Hiroyuki, and he told me that his older brother originally studied in the UK, followed by sculpture at the Dusseldorf Art Academy. 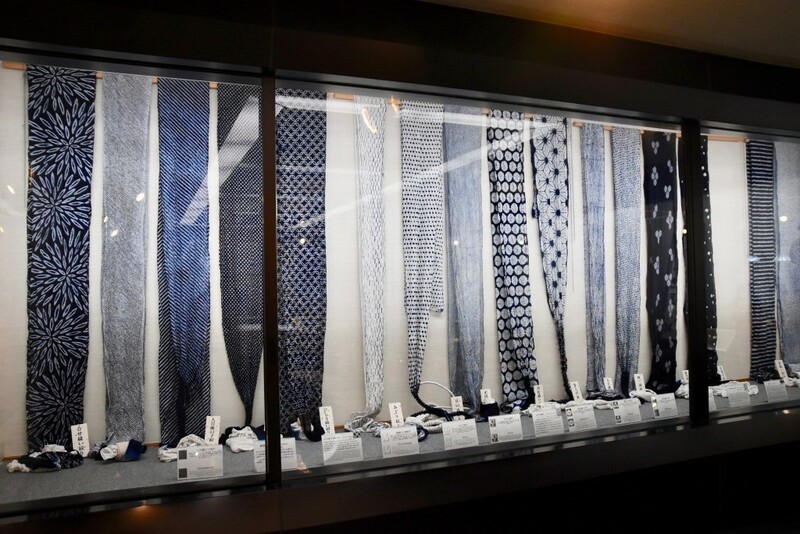 After graduation, he wanted to preserve and introduce the traditional technique of Arimatsu-Narumi shibori to a wider audience, so he worked with his father to create Suzusan Accessories and Suzusan Luminaires to showcase the beauty and techniques of traditional shibori in a modern context. 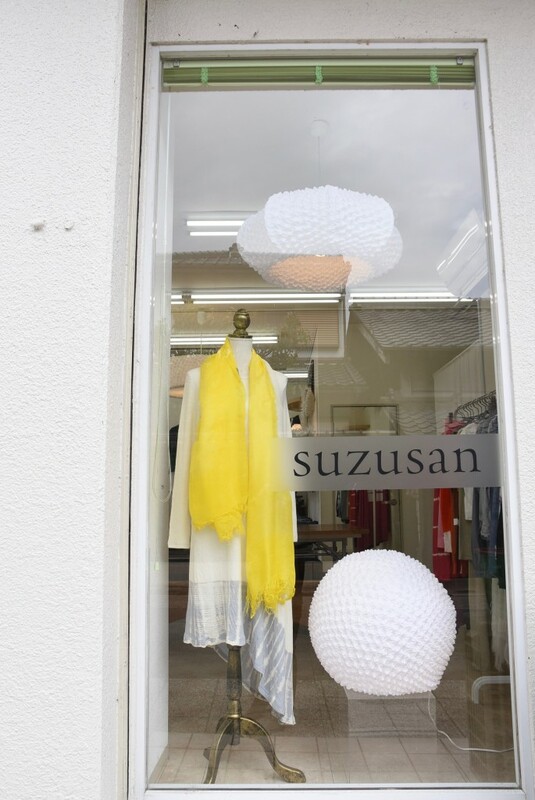 Their three dimensional and heat-treated lighting textiles are handmade in Arimatsu before being turned into customised shades in Germany. 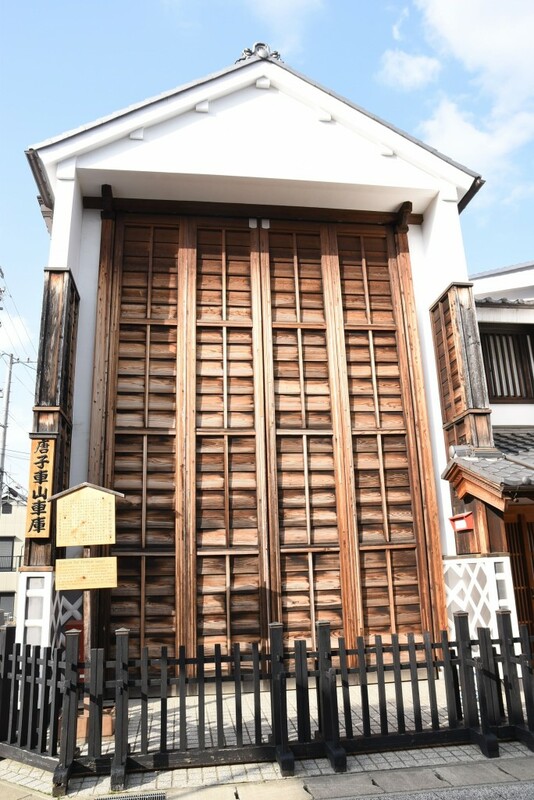 After walking down an alley a few minutes from the shop, we reached a house – it is actually a former bathhouse – where I met Mr Hiroshi Murase. 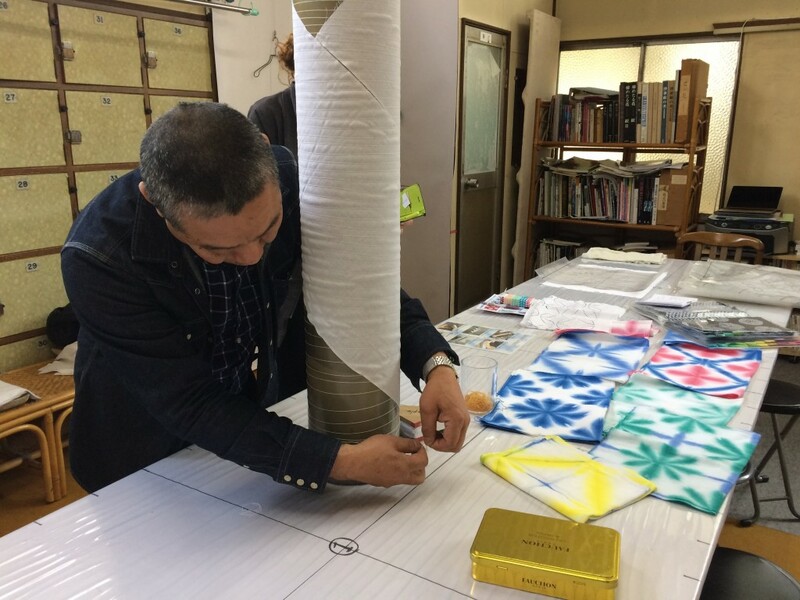 Mr Hiroshi Murase greeted me and said that Mr Shindo had called him to tell him that I would be visiting the town for the day (Mr Shindo is so thoughtful!). He was in the middle of conducting a 2-day workshop with an Australian lady, and he offered me to join them. 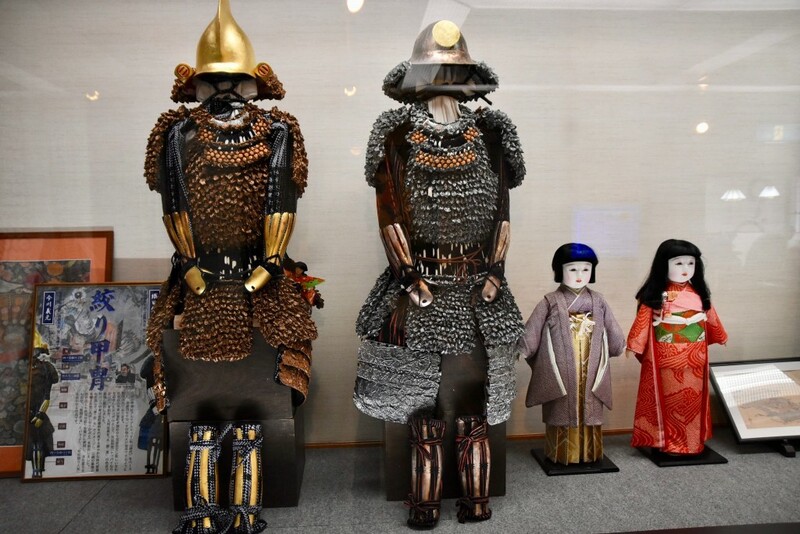 In normal circumstances, I would have joined them, but I declined the offer politely and told them that I only just arrived and had yet to visit the museum and other shops. However, I did watch them for a while and took some information for future reference. 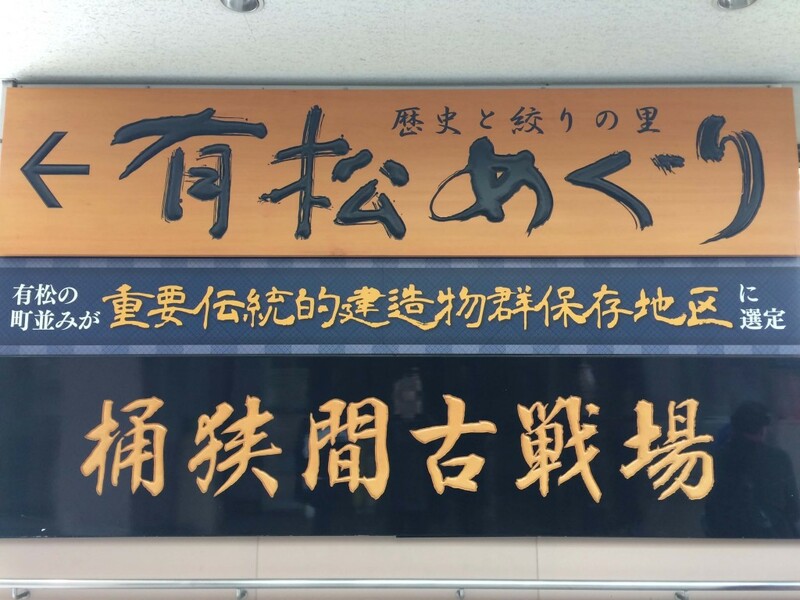 My second stop was a new restaurant called Show Kuro that was not listed on the tourist map/ websites, but recommended by Mr Shindo. 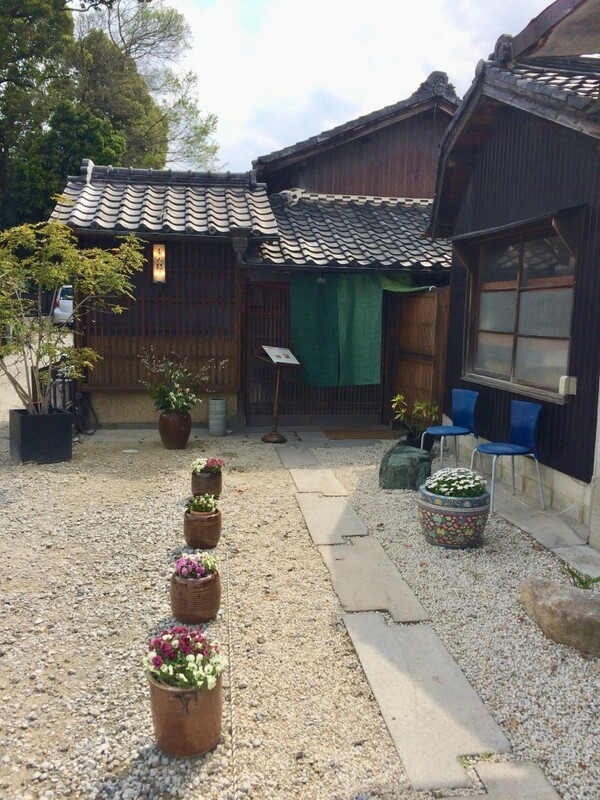 Mr Shindo told me that his good friend and shibori specialist, Kozo Takeda, sadly passed away a few years ago, and his widow has just opened a new restaurant within the historic House of Takeda. 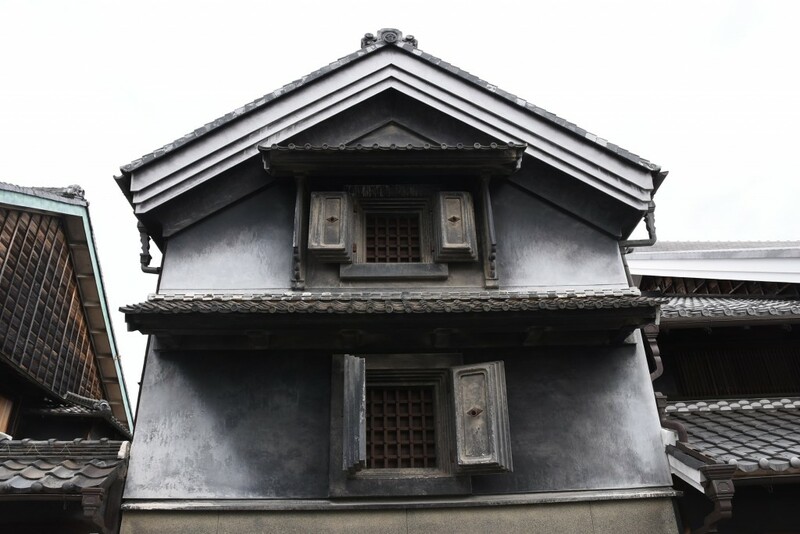 The house is an important heritage merchant house in Arimatsu because it belonged to Shokuro Takeda, the creator of Arimatsu-Narumi shibori. 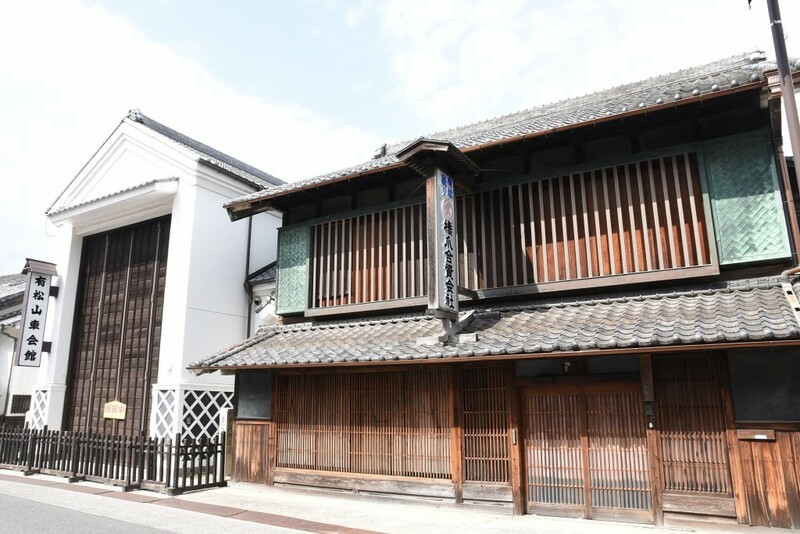 Now the family business is run by the descendants of the Takeda family, and at the restaurant, I met the elegant and welcoming Ms Nakamura. 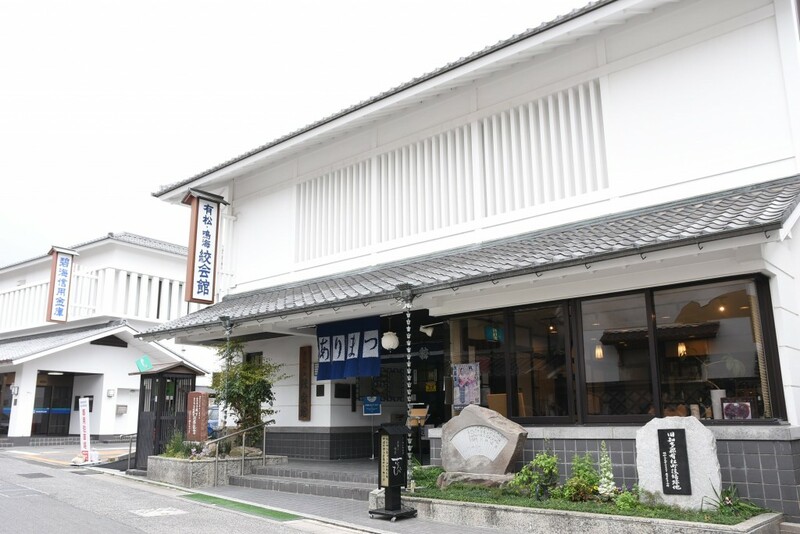 I told her that I met Mr Shindo and he recommended this restaurant to me. 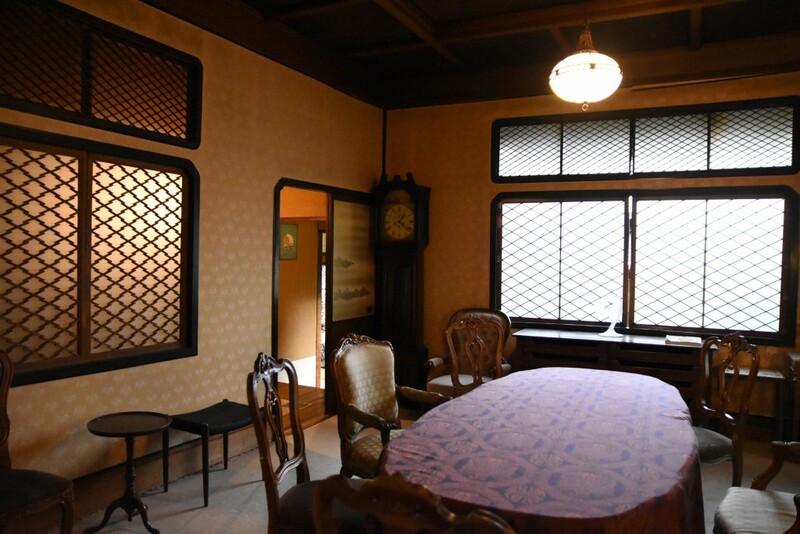 Ms Nakamura was delighted when she heard this, and said she would give me a tour of the house after lunch. 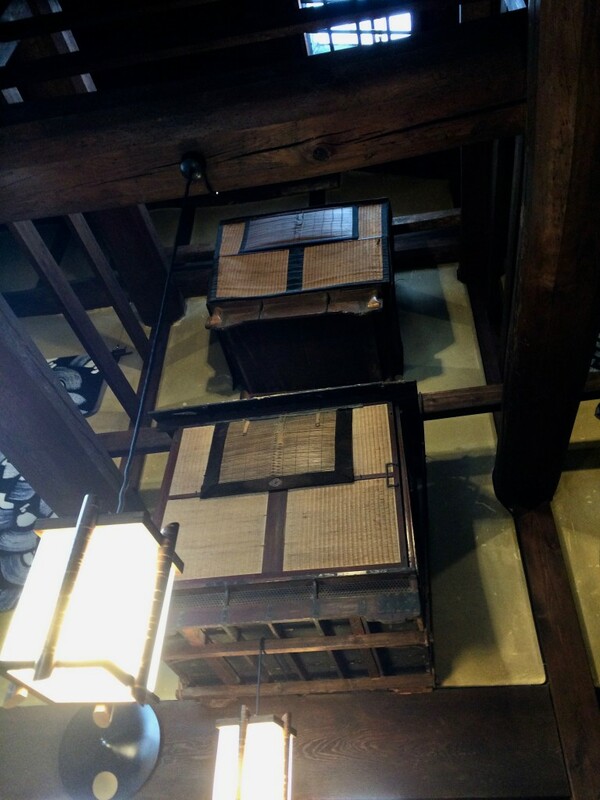 The restaurant is cosy, calm and tasteful. 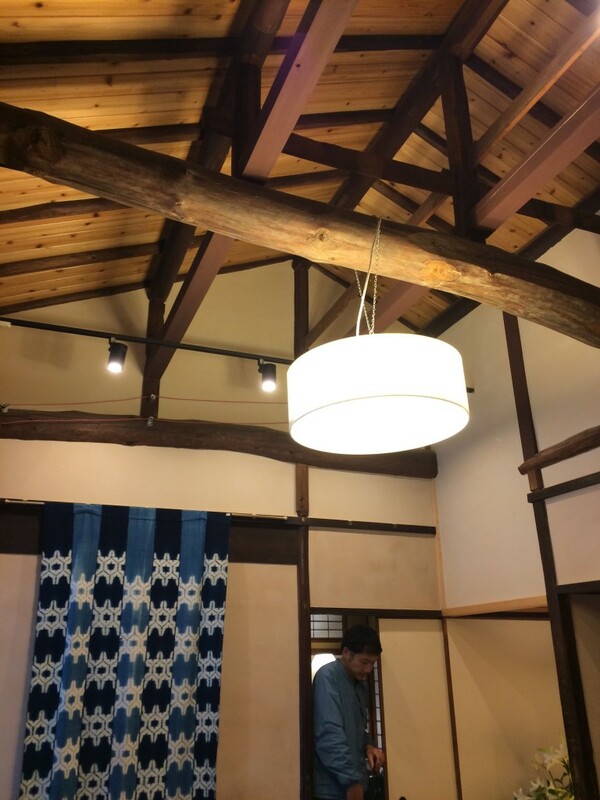 The room has high ceiling with original roof beams, shibori lighting and indigo textiles wall hanging. 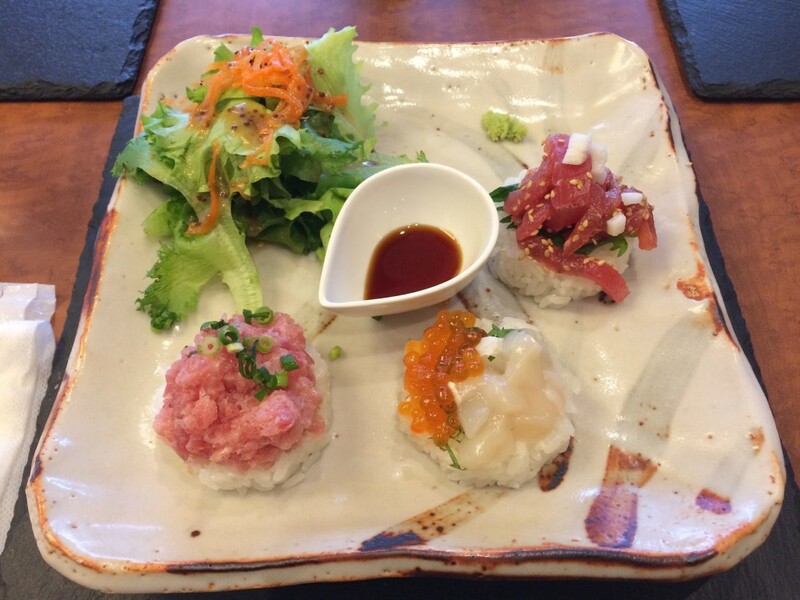 The food was fresh, delicious, and reasonable-priced – it was particularly satisfying after a hectic morning. 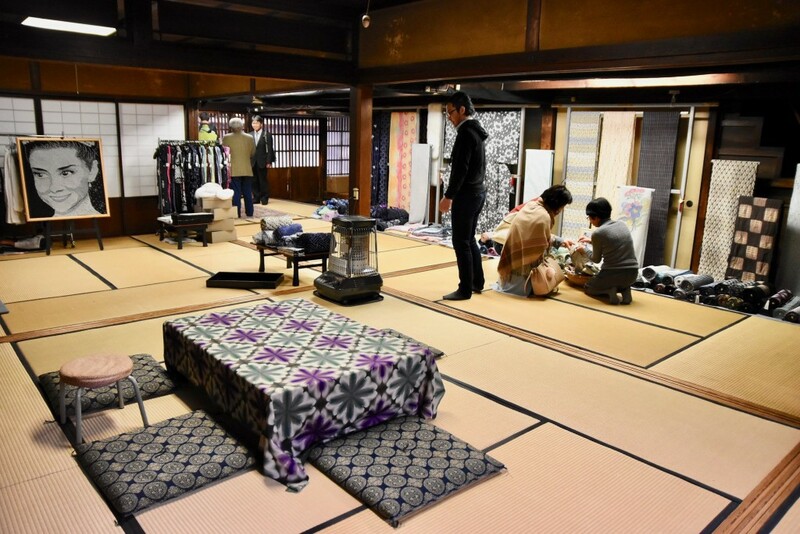 After lunch, Ms Nakamura led me to the house and shop, but a group of clients had just popped in and so she had to excuse herself. 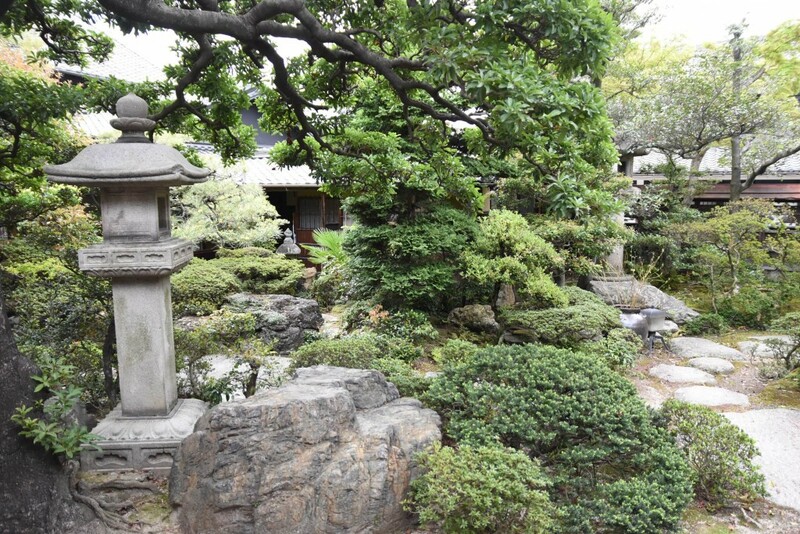 She then asked her son to show me around the historic house, which includes a traditional tearoom and a garden. 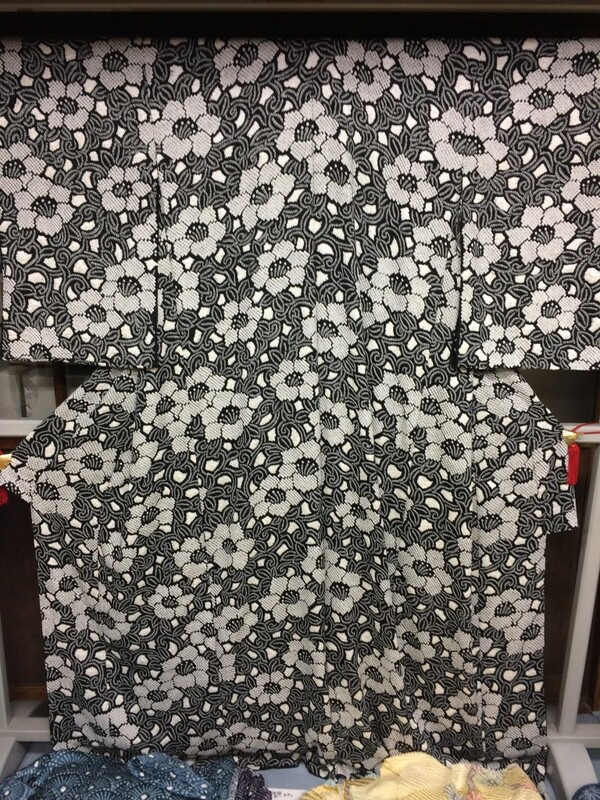 He also showed me the shibori kimono that took an artisan two years to complete (see below)! 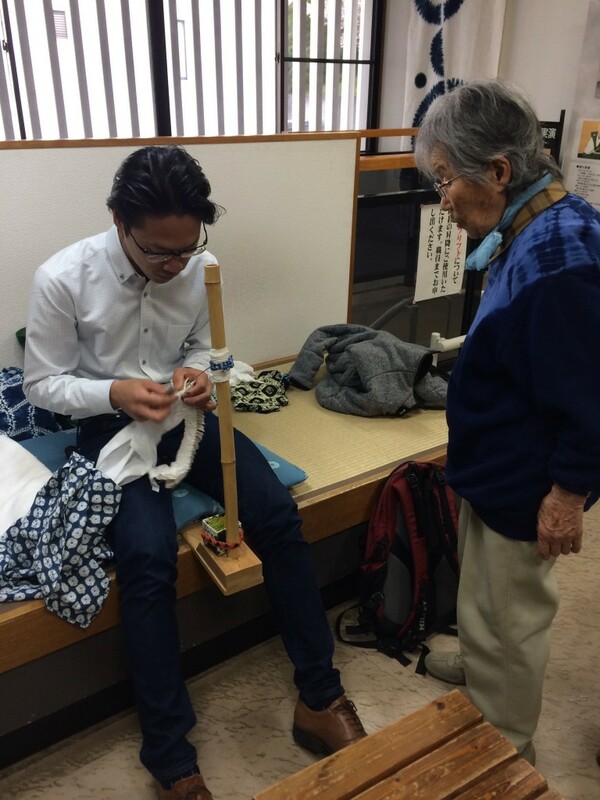 After the tour, Ms Nakamura introduced me to her brother-in-law, the president of the company, Mr Kahei Takeda. 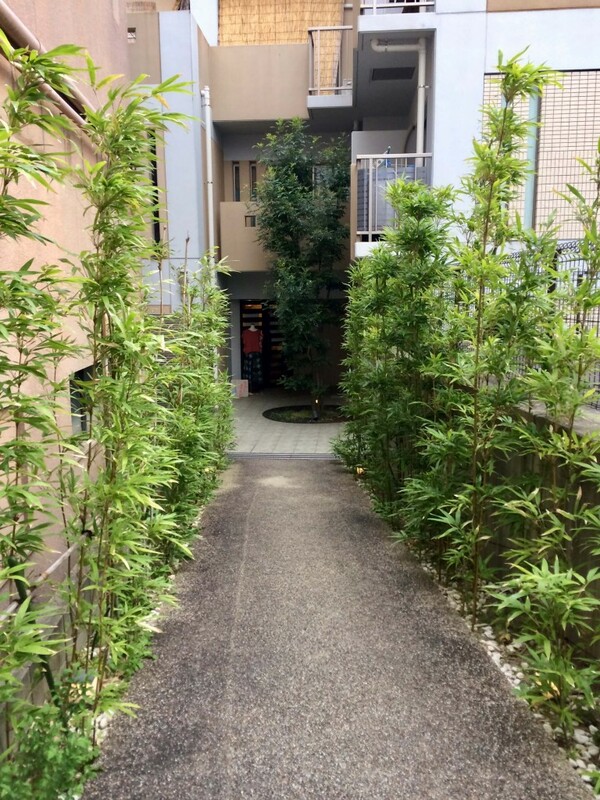 It was wonderful to talk to the friendly and warm Mr Takeda, who did not mind spending his time chatting to me. 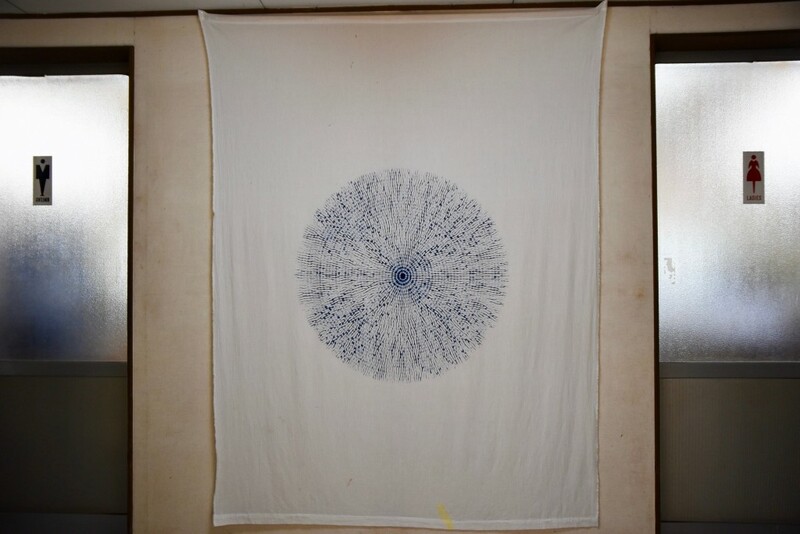 I cannot thank Mr Shindo enough for introducing me to his circle of friends in Arimatsu – I never would have anticipated that I would meet these important figures of the shibori world before my arrival. It was all beyond my expectations. 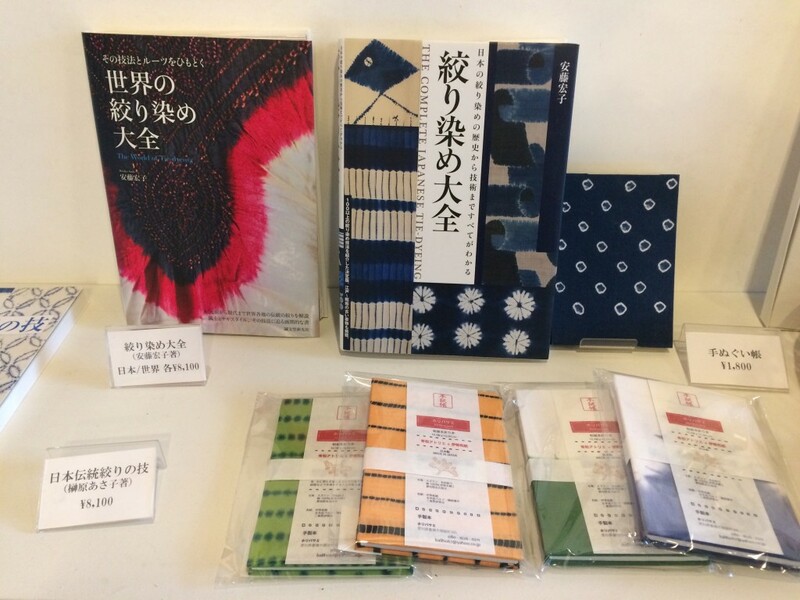 Top left: the shibori kimono that took over 2 years to complete; bottom row: Mr Kahei Takeda, the president of the Takedakahei Shouten Co., Ltd. 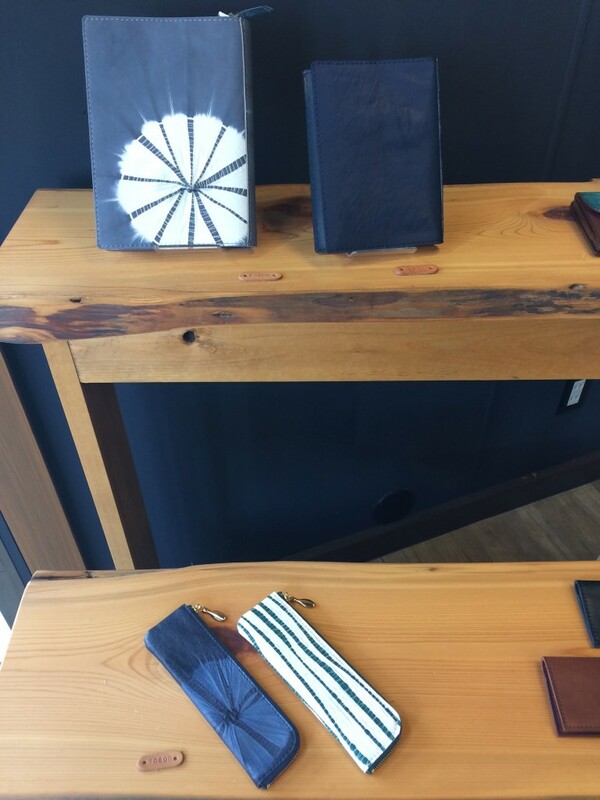 Soon after I left the House of Takeda, I saw a small shop called Hisada Shibori on the opposite side of the street that sells shibori leather accessories. 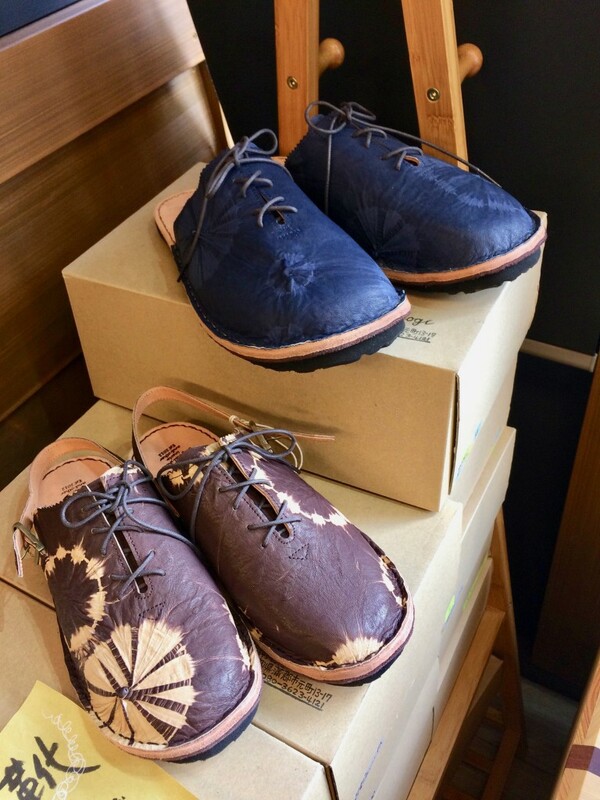 I really like the shibori effect on leather, and the fact that everything is handmade by the young artisan behind the counter. 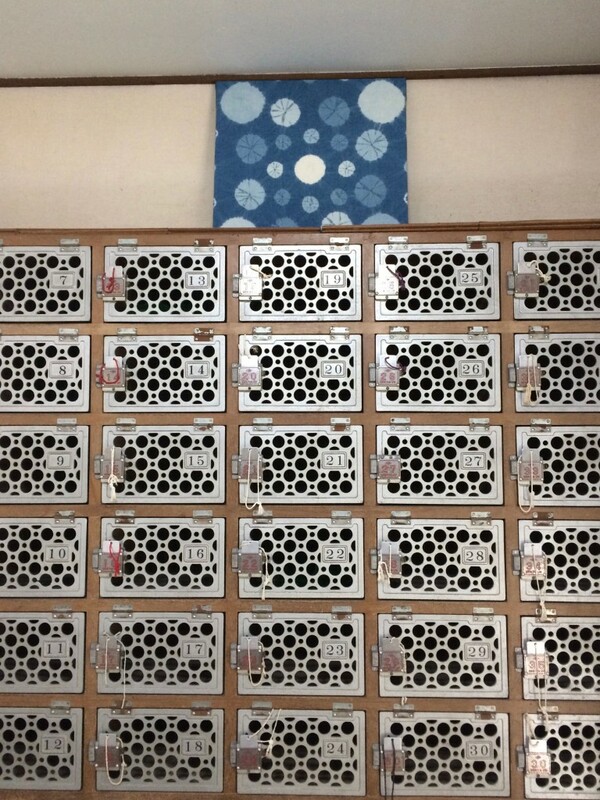 The prices of the products are reasonable, so I bought a small beautifully-made key wallet to replace my old one. 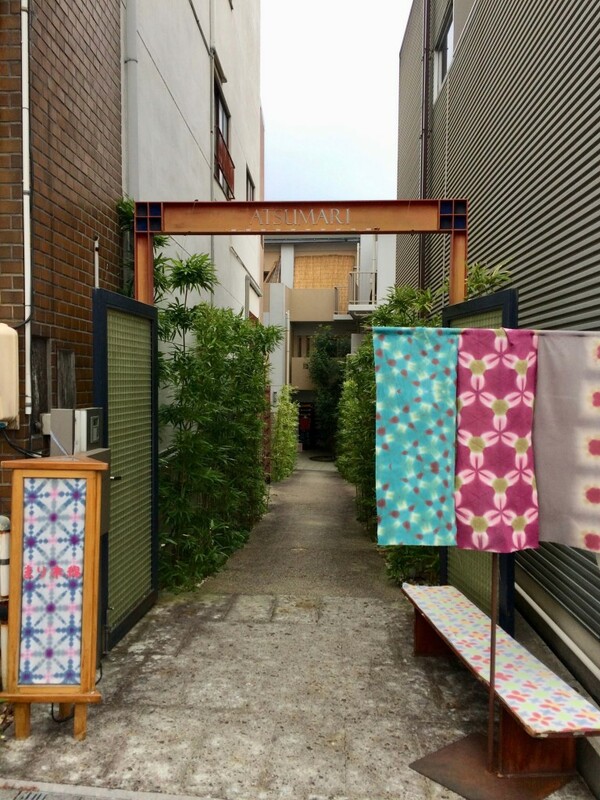 Realising that time was running out, I rushed over to the Arimatsu Narumi Tie Dyeing Museum before its closing time. 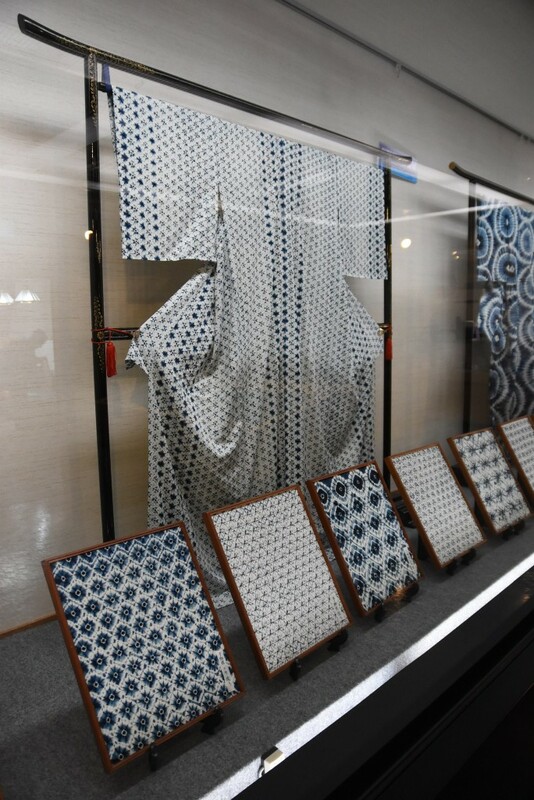 There is a gift shop on the ground floor, and the exhibition area is on the musuem's upper floor, where some stunning shibori kimonos, textiles work, and samurai outfits are on display. 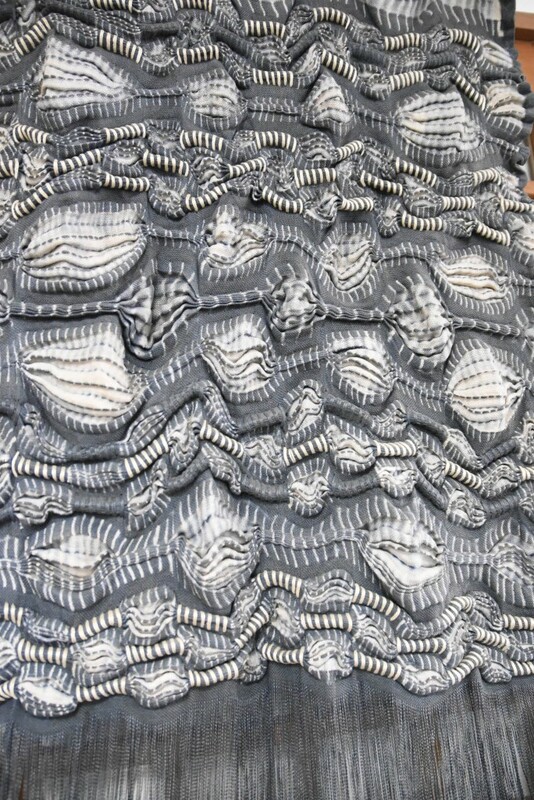 Visitors can also watch the artisans demonstrating various shibori techniques here. 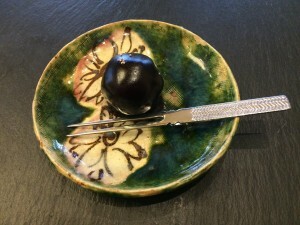 I was amazed by the speed of the young artisan demonstrating there – it was simply eye-opening. 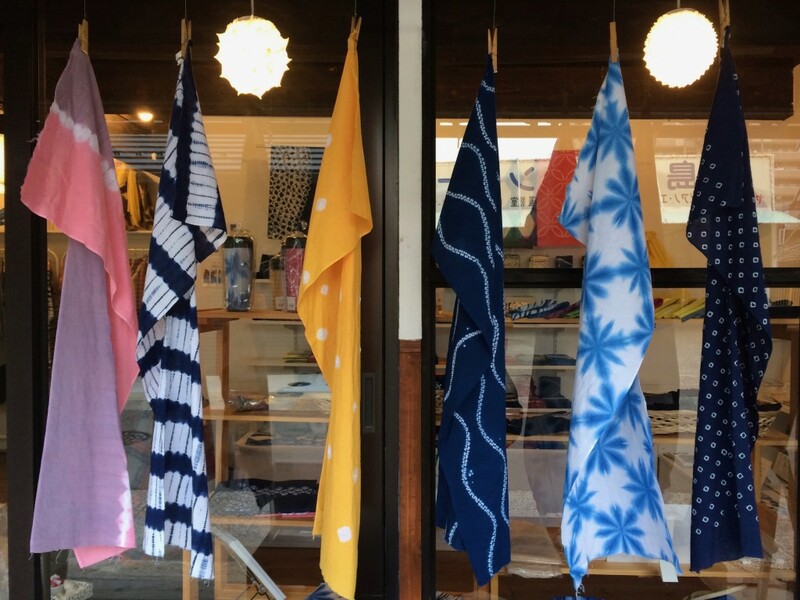 My day in Arimatsu was coming to an end, and my last stop was a small shibori shop near the train station recommended by the young guy from Suzusan. 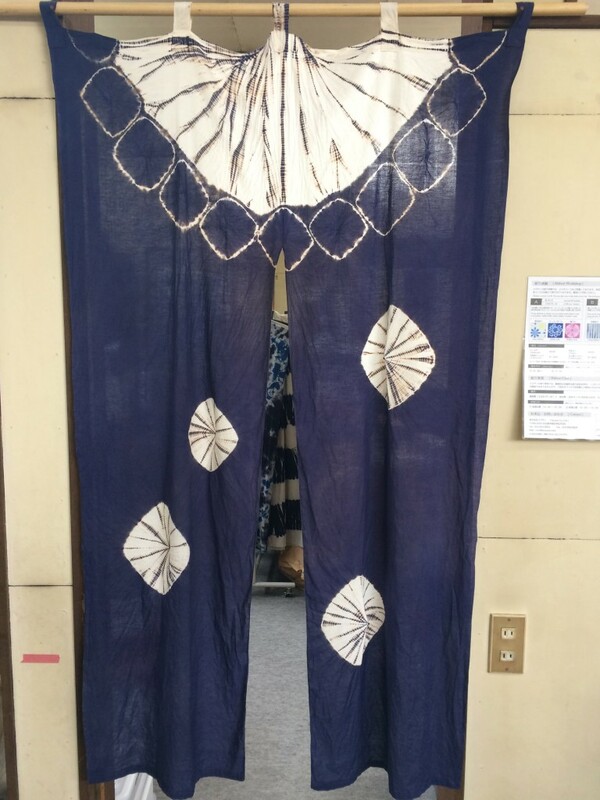 He told me that the shop is run by two young women, and they are using the traditional techniques to create vibrant textiles and fashion accessories that target a younger market. 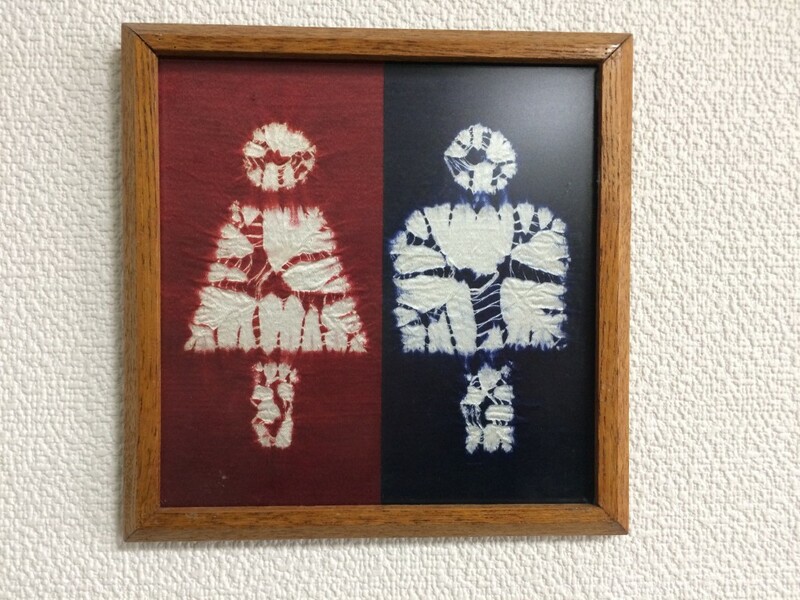 The two artists who run Marimomen are Mari and Yuu, and their shop is hidden behind an alleyway. 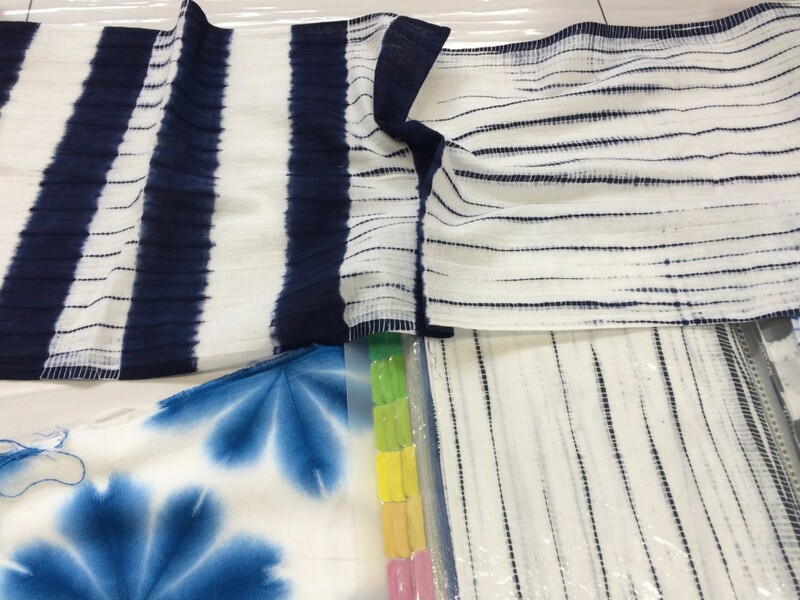 After seeing all the traditional shibori textiles, it is refreshing to see some bright, bold, and colourful shibori clothing, textiles and accessories. 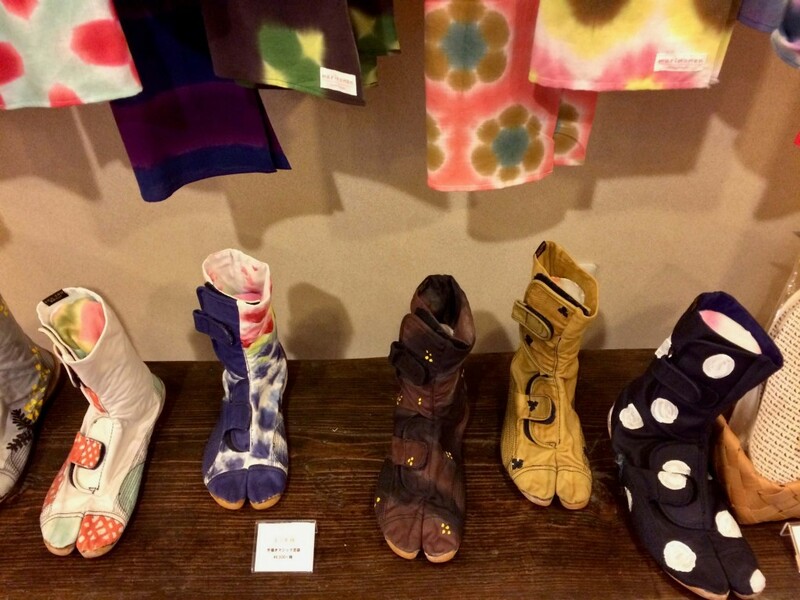 Their tabi boots remind me of Sou Sou's, but they are even bolder and brighter. 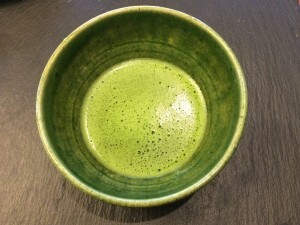 Before I took the train back to the centre of Nagoya, I reflected on my day at a cafe near the station. 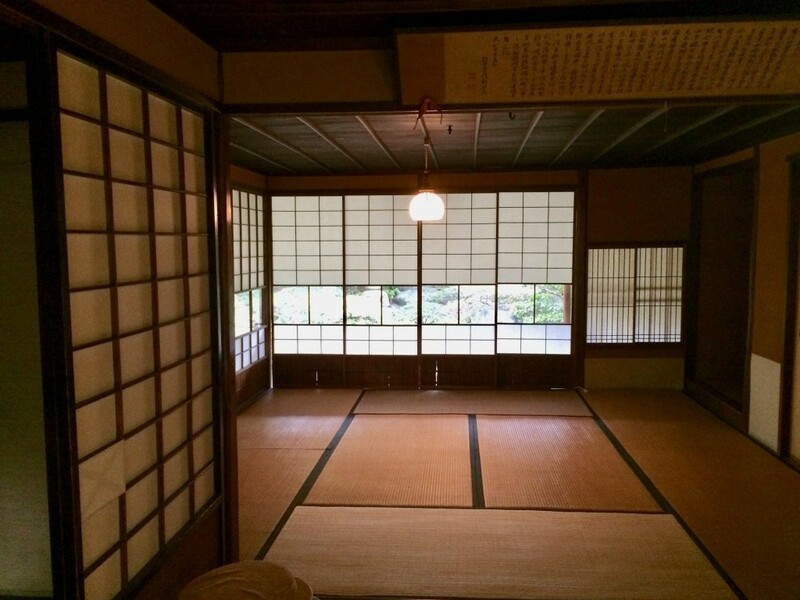 The hospitality I received in this town was almost overwhelming, and again, I felt incredibly grateful towards Mr Shindo for pulling a few strings for me. 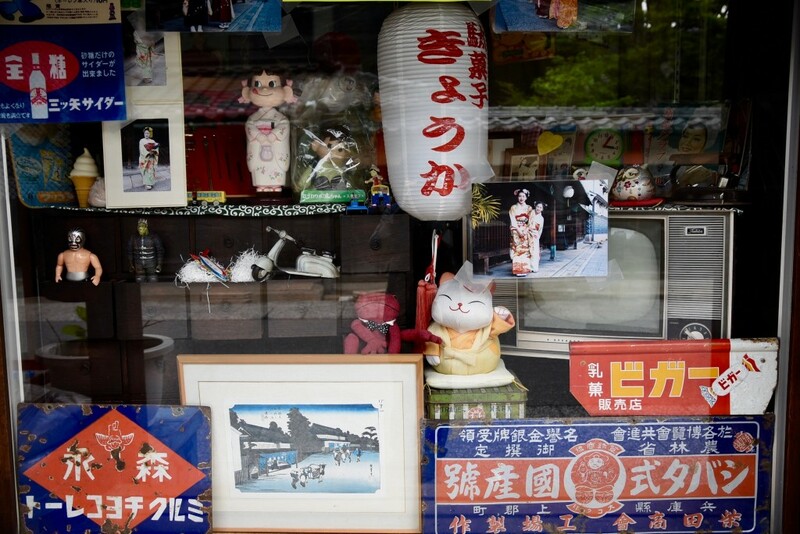 Japan is a country that loves festivals, and many towns and villages would celebrate different festivals related to the local culture, traditions, arts or crafts. 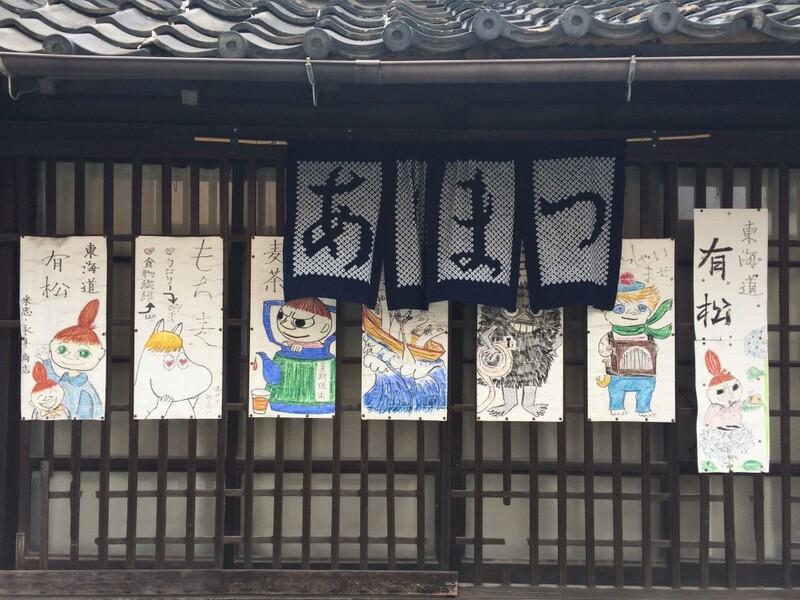 Aside from an annual shibori festival in June, Arimatsu also has an annual Floats Festival in October, where three floats of Arimatsu (they can be seen inside the Floats Museum) are pulled around the town in a big parade, accompanied by flute and drum music. 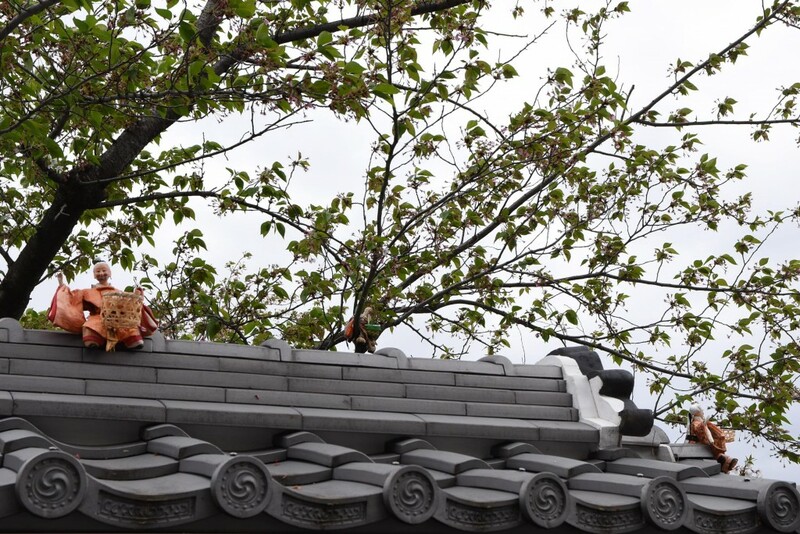 If you love the festive atmosphere, you can pay a visit to the town during these festivals.